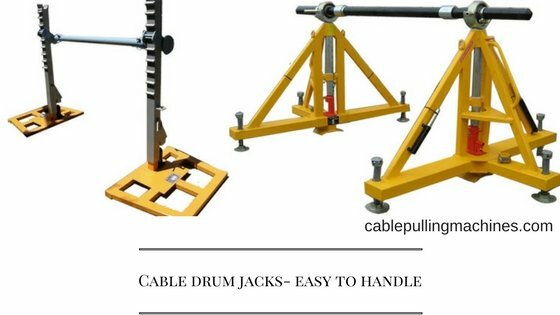 How is the cable drum jacks designed? The cable drum jacks are easy to handle. They are versatile and vertically adjustable with minimum strokes to accommodate a large range of drums. The heavy duty ground plate and solid trust that is fitted with wheels and complete with spindle and fixing clamps. The lightweight hydraulic jacks are almost indispensable for use in the cable yard. They are completely versatile and can easily be adjusted within just a matter of seconds to accommodate a large variety and sizes of drums. These jacks are known to be powerful and stable and are fitted with wheels so that one person can move them from one place to another alone. They are accompanied by spindle bars and locking collars. A normal cable drum jack has a 3-ton capacity SWL per pair. It has a base area of 830x700mm, Weight per Pair 106Kgs.It is accompanied by a spindle bar, and locking collars. The jack towers are designed for lifting heavy drums. They are engineered in a perfect manner with hydraulic jacks and adjustable height spindle support blocks. Screw jacks are really easy to handle and have a simple and user-friendly operation. These plates have been mainly designed to give stability even on soft ground. Spindle bars and locking collars are available on a request basis. Cable drums are becoming larger but not heavier. These jacks are built with sleepers. The different kind of cable drum jacks comprise of Hydraulic jacks, jack towers, Screw jacks, jack plinths, Spindle bars and much more. 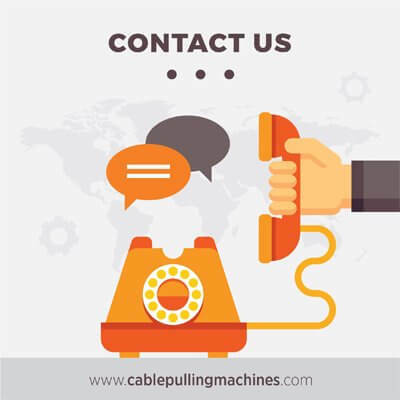 Cable drum jacks are one of the most useful and efficient equipment’s that are used by various contractors and servicemen. They are affordable and user friendly and is available with a 2 year warranty period. They are made with the best state of art materials that makes it durable and long lasting as well.